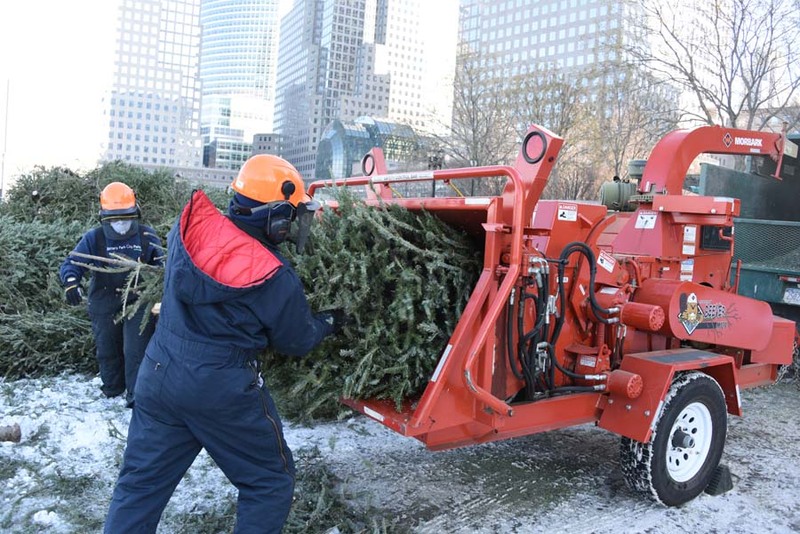 As the holiday season passes, the Battery Park City Authority is again collecting trees for its annual recycling program beginning Wednesday, December 26. Please leave your undecorated tree on the curb for pickup by our parks operations team – no tinsel, ornaments, or lights please! Collections will continue through Saturday, January 26. Recycled trees are used locally throughout our parks for various purposes, including composting, plant protection, and soil insulation and enrichment. Last year more than 1,600 trees were chipped for use as mulch across our parks — see a video of our staff at work here. Happy holidays and thank you for helping keep Battery Park City beautiful!